On the way to Cadbury’s yesterday I decided to take the scenic route just ‘because’. I spotted a tiny creature on the road and pulled over the minute I saw what it was. 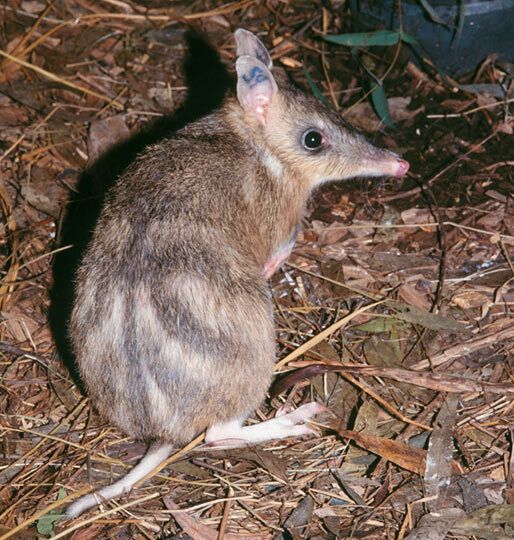 A bandicoot. These little creatures are nocturnal so this little fellow should not have been out on the road during the day. And he was moving very slowly. I jumped out of the car and grabbed him before the truck barrelling towards me got too close. The poor little thing was breathing heavily, its heart beating rapidly. It didn’t look hurt on the outside but something was definitely wrong with it. I asked Caitlin to hold it in her jumper (to keep it quiet in the dark) and I headed towards the closest vet. On the way there I asked how it was going, had it settled down. I can’t describe how devastated I felt. I adore bandicoots, like so many native animals. And this little guy was so cute… I really wanted to save him. He was tiny, fully grown but still a youngster. He fit in my hand easily. But when he was dead, he was so… dead. No other way to put it. He wasn’t limp and dead, he was almost immediately stiff and dead. He seemed to lose all his flexibility, his little legs just stuck out. It was just so sad to see him lose the spark of life. It made me think about all my loved pets who I’ve lost. I was there to hold Billy and Scooter when they crossed over. I wasn’t there for Timmy or Pagan. Someone else was there for them. With Billy and Scooter they were gone and suddenly they were limp, heavier somehow. With the bandicoot it was different. I dont know why. Maybe it was my imagination and not reality, but with them it was like they just left their bodies, surrendered them and left them with me as they crossed over. I dread to think of losing my poodles. When I think of the day I’ll have to say goodbye to them, or to Barney and Mischa, or the horses, I don’t think I can face it. I tell them every day how much I love them. I hope its enough.